​​ HOUSTON – Retail imports surged in Houston and other U.S. ports last year, buoyed by economic gains and a shift in global shipping patterns that has routed more traffic through the recently widened Panama Canal. Port Houston estimates that it handled a record 2.4 million standard containers in 2017, the first full year after completion of the canal's $5.3 billion expansion. The total rose 14 percent from 2016, driven largely by a stronger Texas economy and an increase in consumer goods imported from Asia. National numbers reflected a similar trend. Major container ports last year handled an estimated 20.1 million units, up 7 percent from 2016, according to a report by Hackett Associates produced for the National Retail Federation. 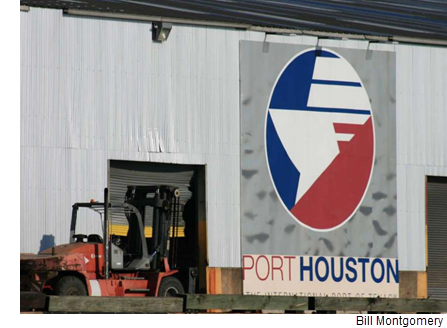 The rapid growth coincided with a series of ongoing investments in the Port Houston's capacity. For years, it has set aside hundreds of millions of dollars to install larger cranes and enlarge its channels to accommodate high-volume container ships.